Mercedes may have thrown a 'Christmas break' fire blanket over the saga of their search for a driver to replace Nico Rosberg, but that doesn't mean that nothing is happening. It looks increasingly as though Valtteri Bottas is being lined up for the role. The bookmakers, who have a nose for these kinds of situations, have stopped taking bets on Bottas as Lewis Hamilton's team mate for 2017. For that transfer to happen Williams need an experienced replacement for Bottas and Felipe Massa seems willing to review his decision to retire. This decision was not motivated by the fire going out, but by the fact that Williams had decided to go forward with Lance Stroll and to hold Bottas to his contract and not release him for the move to Renault that he coveted. So Nico Hulkenberg made that move instead. It's a good moment to evaluate why Renault wanted Bottas and why Mercedes has approached the last few weeks as they have. Bottas, who has done 77 Grands Prix, the same as his racing plate number, holds the record for the most Grands Prix exclusively raced for a single team. He came into the sport with a strong junior record having won the Formula Renault titles and the 2011 GP3 title. In many respects his career is comparable with the man he hopes to replace, Nico Rosberg; four seasons with Williams and then (he hopes) a move to Mercedes. So in terms of a like for like replacement for Rosberg he is pretty much a photo fit of where Rosberg was in his late 20s. If anything he looked to have a slightly higher level of potential than Rosberg in the early stages of his F1 career and he took advantage of the boost in competitiveness Williams gained in 2014 with the switch to Mercedes as the hybrid turbo engine era began. Bottas bagged six podiums and 186 points in 2014. In a comparison with Massa, in their three seasons together Massa scored 72% of Bottas' points tally inn 2014, 88% in 2015 and just 62% in 2016, which indicates a positive trend for Bottas but was that against a declining baseline in Massa, now aged 35? And that is the real key to this; Bottas is a reliable driver who has the capability to qualify strongly, race competitively and will bring you plenty of points across a season. The interesting question is whether Bottas has flat-lined in the last year of whether he still has development potential. A conversation with Toto Wolff in the summer around this topic revealed a robust defence of the Finn's record and ongoing development potential from the Austrian. There is no question that Rosberg kept developing right up to the end of 2016 at the age of 31, which is admirable. One couldn't say that of Juan Pablo Montoya, for example, who had far more talent than Rosberg but who didn't apply himself to that relentless development path. Only Rosberg's harshest critics in the F1 paddock would begrudge him the title he won this year, given how much effort he applied to improving himself in all areas of the game. 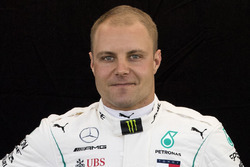 Bottas covers pretty much all the bases Rosberg covered and the engineers can send him out in the car next year with the expectation that he will score consistent podiums and qualify towards the front of the grid; something they could not be sure of with Pascal Wehrlein, for example. F1 engineers constantly monitor the performance of the other teams and the other drivers and are aware of every single trend and blip that happens in a season. They see the McLaren chassis improving, they see drivers flat lining in performance or dropping backwards, like Sebastian Vettel did, for example, through what appeared to be frustration as the 2016 season progressed. They see an outstanding Alonso performance that netted a sixth place in an uncompetitive car and it stands out on their data analysis screens and they take every detail and every happening into account. They do this for many reasons, including for strategy planning purposes and also in case the team boss asks for a dossier on Driver X as he's thinking of hiring him. Some drivers appeal to teams for a while before they move there; Esteban Ocon has appealed to Force India since they tested him in 2015, for example and I would have bet my mortgage on him getting a seat there at some point. Carlos Sainz appeals to both Ferrari and Renault and he'll almost certainly drive one of their cars in 2018 if a place doesn't come up at the top table with Red Bull. I'd put reasonable money on Daniel Ricciardo pairing up with McLaren in the next couple of years if life with Max Verstappen becomes unsustainable at Red Bull. So Bottas looks like an ideal 'plug and play' replacement for Rosberg and the question for those of us who take care of the fine details of F1, is how much growth there still is to come from the quiet Finn.